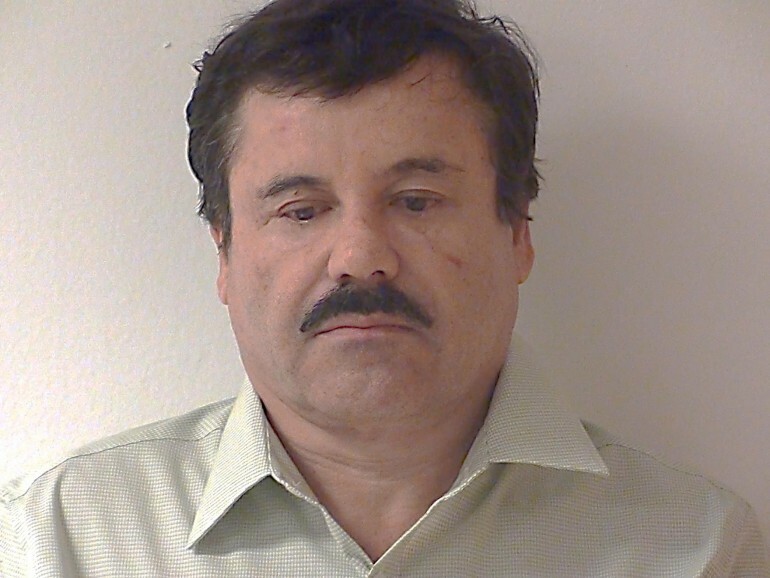 El Chapo’s cousin Jesús Gutiérrez Guzmán , 54, was sentenced on Friday to 16 years in prison and a $10,000 fine by a U.S. court in Concord, New Hampshire for smuggling over 800 of pounds of cocaine into Europe in 2012. Joaquín Guzmán Loera , known as “El Chapo,” had reportedly named Jesús Gutiérrez as his representative, appointing him to expand the Sinaloa Cartel’s reach into Europe and entrench its presence in the U.S. At least that’s what he told FBI informants when the initially contacted him posing as drug buyers in 2009, according to the Boston Globe . Gutiérrez ’s sentencing was delayed when his cousin Guzmán escaped from a prison in mid July. He’s still on the run, though many of the guards and upper-level prison officials tasked with detaining him have been arrested for allegedly accepting bribes to let the cartel leader slip away. Guzmán was also wanted for prosecution in New Hampshire, but reportedly fled when he learned that Mexico would grant an extradition. That extradition agreement has since been approved, raising the stakes for Guzmán who, if caught, could end up in the same U.S. prison as Gutiérrez. Gutiérrez admitted in 2012 to shipping large quantities of cocaine to Spain from Brazil. Before the shipment, he reportedly presented himself to FBI agents as a Sinaloa Cartel spokesman. The Bureau filmed such encounters in Miami, Boston, Portsmouth, and New Castle, according to Informador . Once Gutiérrez serves his sentence in the U.S. he’ll be deported to Mexico. One of his co-conspirators, Rafael Celaya Valenzuela was arrested in the same sting. Celaya had been posed for photographs Mexican officials, including President Enrique Peña Nieto and PRI Senator Emilio Gamboa Patrón.